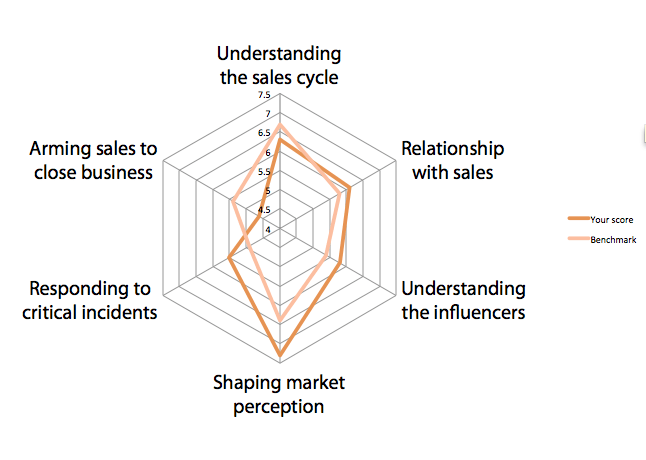 Where’s your firm on the Sales Enablement Radar? Working together, business developers and communications professionals are able to get more leads into the pipeline, make them close sooner, and improve the win rate. Sadly many technology solution providers have not found the ways to make that relationship really effective. As a result, firms either have to work harder to get worse results, or they have to find ways forward. Over the next few months, we’ll be beta-testing our sales acceleration workshop, which will give managers the strategies and tactics used successfully by the Kea team at companies as varied as Cisco, Deloitte and Gartner. Unlike passive training courses, this intensive and interactive workshop will equip participants to accelerate the sales process. A key part of our process is benchmarking the six key elements of sales enablement. Using our method, you can benchmark against the competition to get an objective assessment of your program and understand the actions needed to improve.